The Patio on 101 - San Diego Dining Dish! The successful Patio group has just opened up the newest location of their popular Patio farm-to-table concept restaurant in Encinitas, aptly called The Patio on 101. 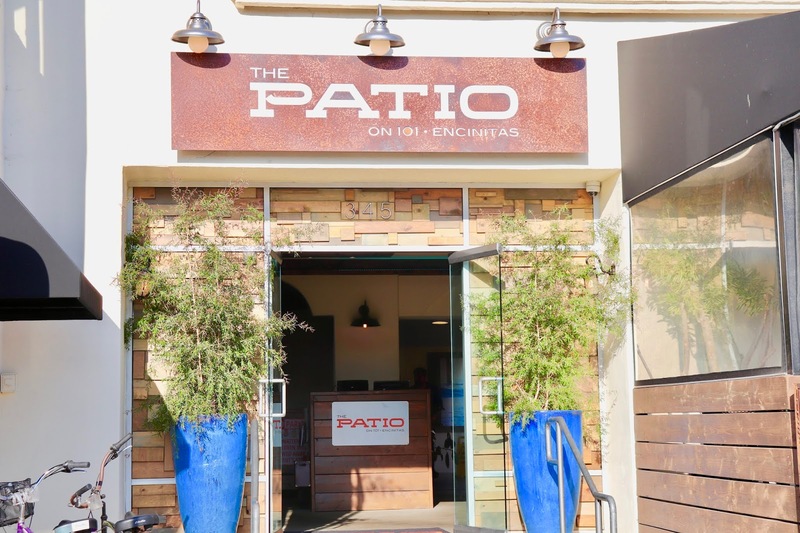 Blending well-prepared, fresh ingredients with signature San Diego hospitality, the Encinitas Patio location is certain to be as successful as its sister restaurants. We were invited to try out this new location to discover what makes this restaurant so unique! 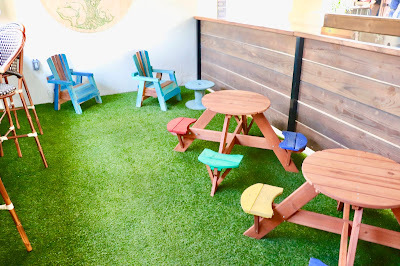 One of the most attractive features of this restaurant was its kid-friendly atmosphere. A small play area welcomes children to relax and enjoy the experience with their parents. 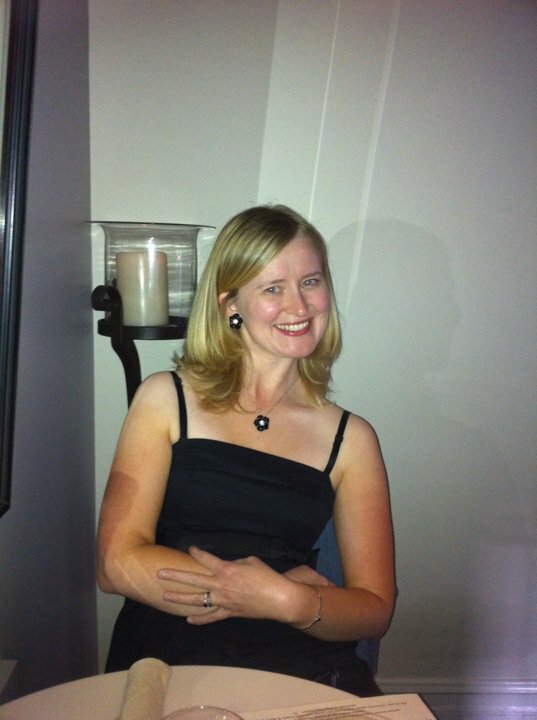 The restaurant is huge, living up to its name with several patios available for relaxation. 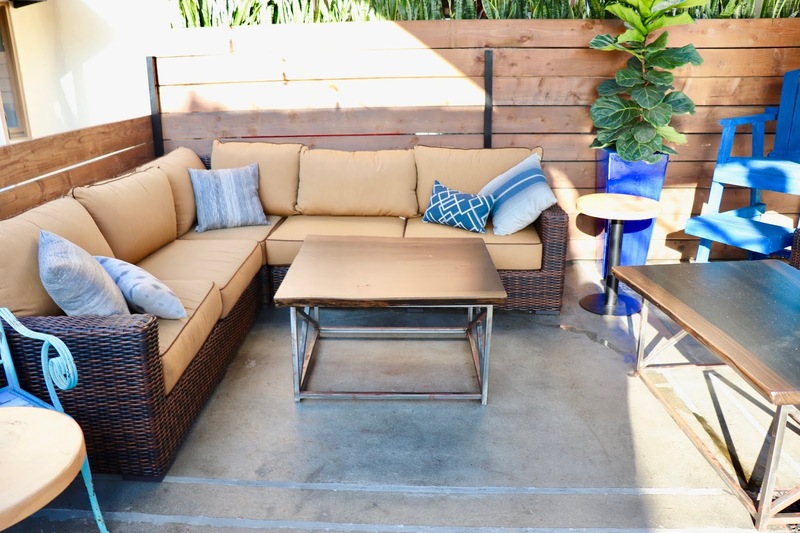 There is nothing like a San Diego winter with a patio dinner under heated fans, and this patio would be perfect for a cozy evening. Brunch on the patio in San Diego sunshine is also very, very advisable. 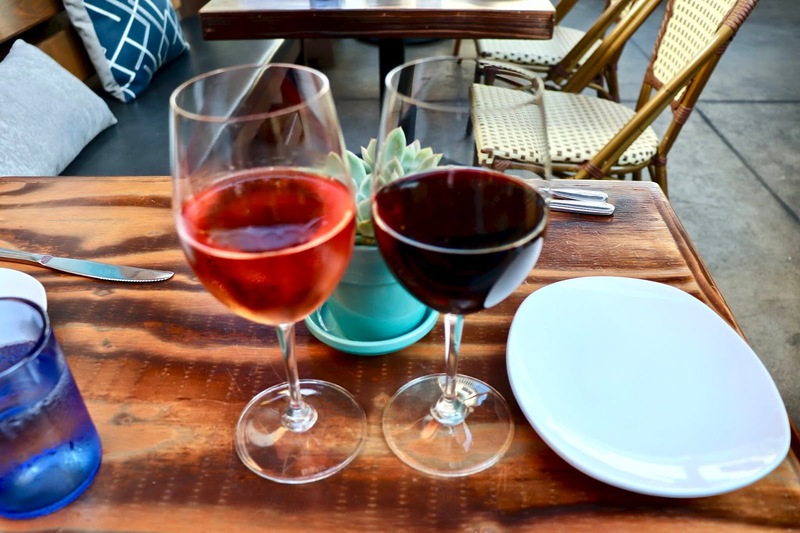 The wine and beer list is extensive, with wines by the glass and the bottle. Summer calls for a rosé, and I was quite pleased with the offerings. 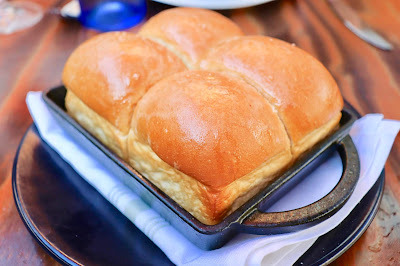 I adore Parker House rolls, but I'm terrible at making them at home. I consider myself a competent baker, and I made these rolls all the time as a child, but I lost the knack as an adult. These Parker House rolls were extra special with sea salt and honey butter. So delicious, and so worth the carb count! One of the most inventive dishes that I've ever had was the special appetizer of the night, fruit crudité. 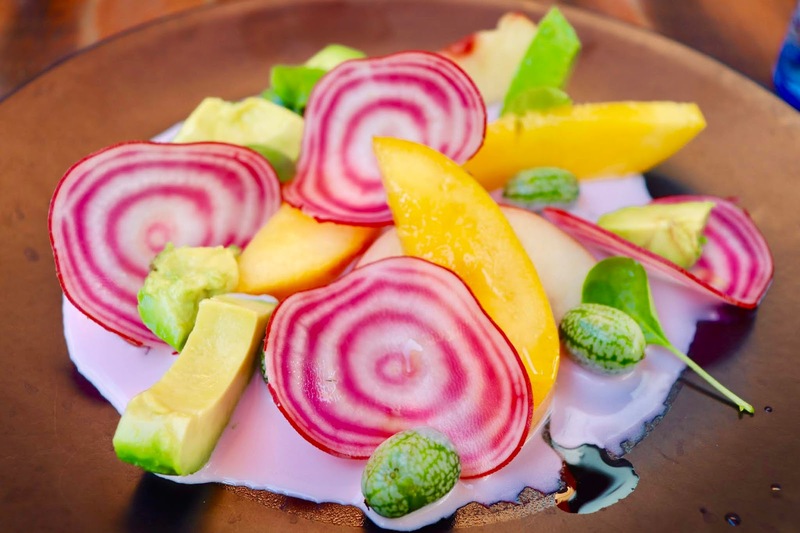 This was a light, summer appetizer of avocado, white peaches, candied beets, yellow peaches, and watermelon cucumber, all served with a goat cheese sauce. It was perfect summer food, paired well with the rosé wine. The fruit was incredibly fresh and sweet. 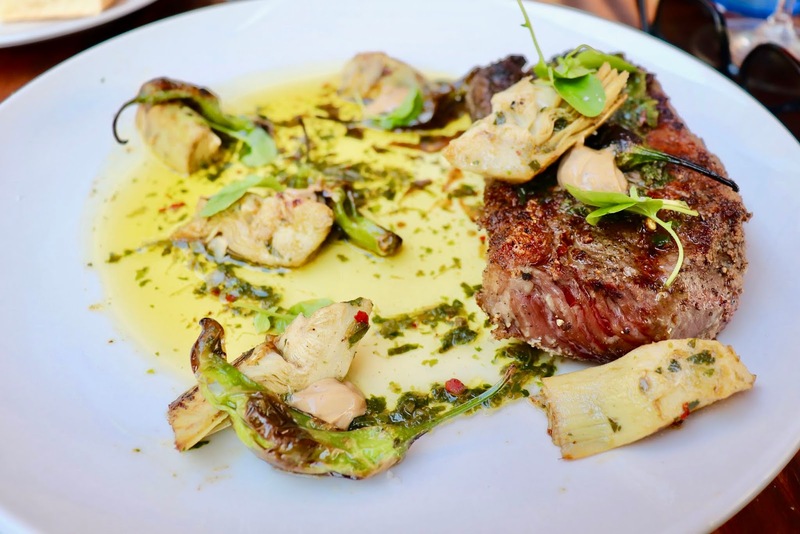 For entrees, we chose the New York strip steak served with artichokes and mushrooms. 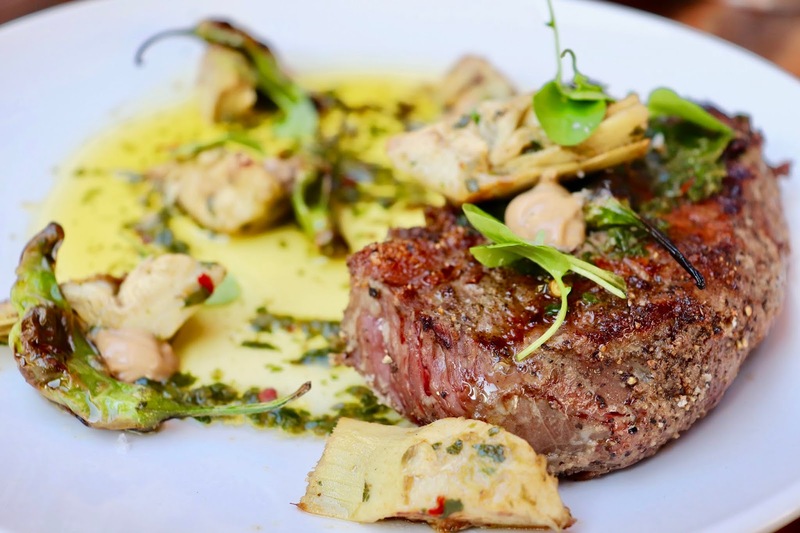 The steak was well prepared, with plenty of garlic flavor. The shrimp and grits were divine. 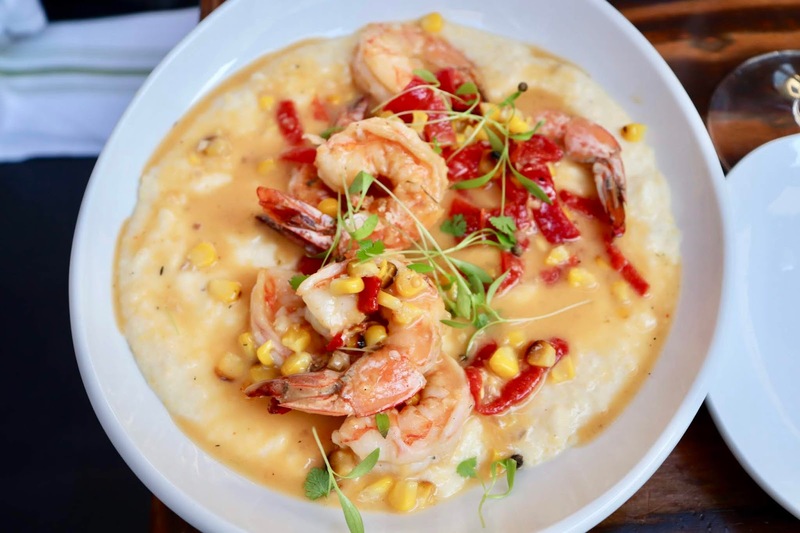 Shrimp and grits is one of my favorite dishes, but something that I only have on occasion because, well, it's not exactly health food. 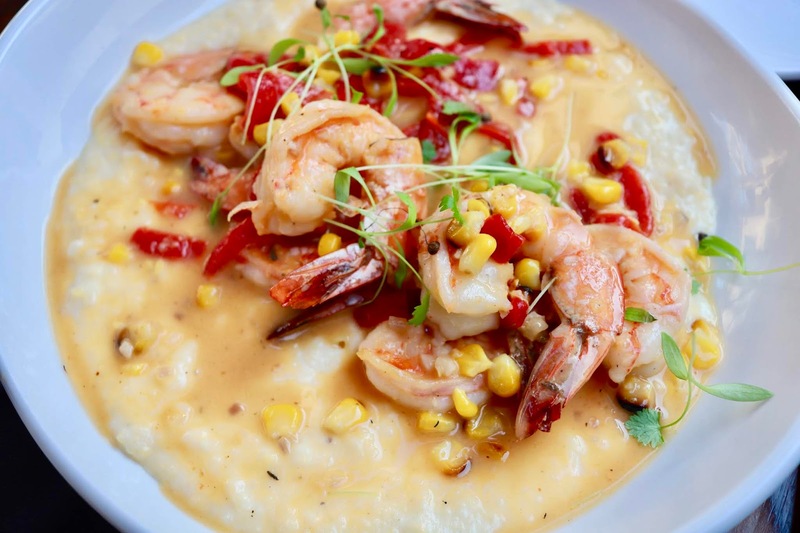 Shrimp and grits is the ultimate comfort food. Warm and filling, with a delectable spicy flavor, it's really a hug in a bowl. The shrimp were plentiful and tasty, and the white wine chili butter was delicious. The grits were creamy and substantial, with just a bit of spicy flavor. 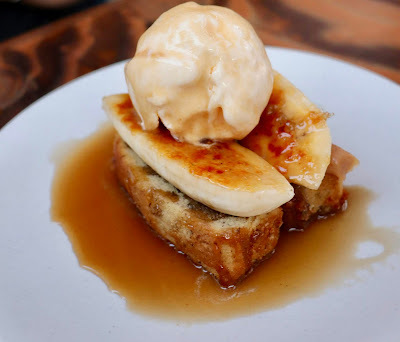 We finished the meal with the Twisted Elvis, a peanut butter and banana bread pudding with banana bread frosted with a peanut butter mousse, then topped with bananas foster and ice cream. It was quite the dessert, with a hint of childhood packaged into a sophisticated dessert to end a memorable meal. The Patio on 101 serves lunch, dinner, and brunch (on weekends), and is a welcome addition to Encinitas.